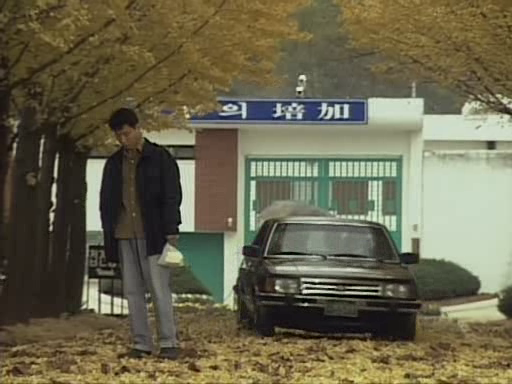 So, I’m watching Sandglass, that great k-drama from 1995. I’ve watched eight episodes and I thought I’d write a mid-point review, but I feel so inadequate to the task. What can I possibly say about a classic piece of television? 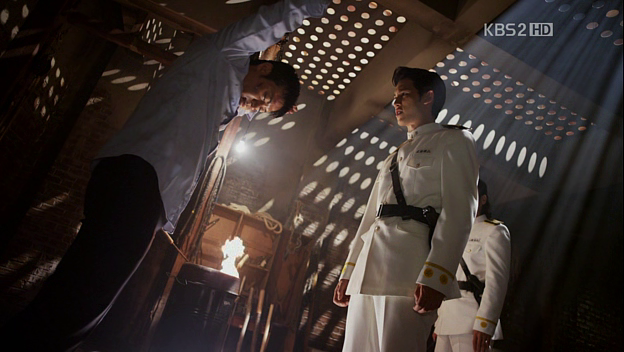 It didn’t just average viewer ratings of 50%; it shaped Korean television and the very consciousness of a nation. I simply do not have the knowledge to do justice to the context and impact of this important work. Both Sandglass and Eyes of Dawn are epic in the true sense of the word; human drama of operatic proportions set in dramatic moments of real history. Both are hard-hitting and unsentimental (even, brutal). Neither is an ‘easy’ watch. Both were ground-breaking in terms of scale, which shows in extraordinary production values (Sets? What sets. That stuff looks like the real thing) and a creative product that transcends criticism. Both are great, unforgettable television, comparable with epic historical cinema from anywhere in the world and bearing scant resemblance to the mindless and carelessly cobbled-together fluff that sometimes passes for historical k-drama nowadays. What? Mugshots! From Episode 23 of Gaksital / Bride Mask. Why? Because I can. Because it amuses me. So, just what is my thing with Gaksital or Bride Mask? Why do I keep picking on this poor helpless show? Ok, firstly, I have had to watch every episode. Twice. Because of an obligation. If I had a “normal” relationship with this show, I would have broken up with it long ago, and the world would have been spared my tedious whinging. But, why so grumpy, Serendipity? I could go on a fairly extended rant, but let me just pick on one thing: Characterization. Who people are and how they behave. I’ve never considered myself a true rebel, but my reaction to the current crop of k-dramas is making me wonder whether I am actually secretly perverse. I’m very much enjoying Arang and the Magistrate. I don’t think it’s brilliant, but I really like it. I like its world creation. I like that it’s been thoughtfully laid out from beginning to end (I think). I happen to think Shin Min Ah and Lee Jun Gi are adorable, but they are not actually the focus of attention for me, and I like it that way. I like that the show is about so much more than two people falling in love. Maybe I like it because it’s not the rave hit of the moment (see Perversity). I can’t stand Gaksital or Bride Mask. I really can’t. I think it’s lazy, over-acted, and manipulative. Everyone else is loving it. Me, I can’t wait for it to be over.